AMD Ryzen is out in full force at STH and our DemoEval lab. 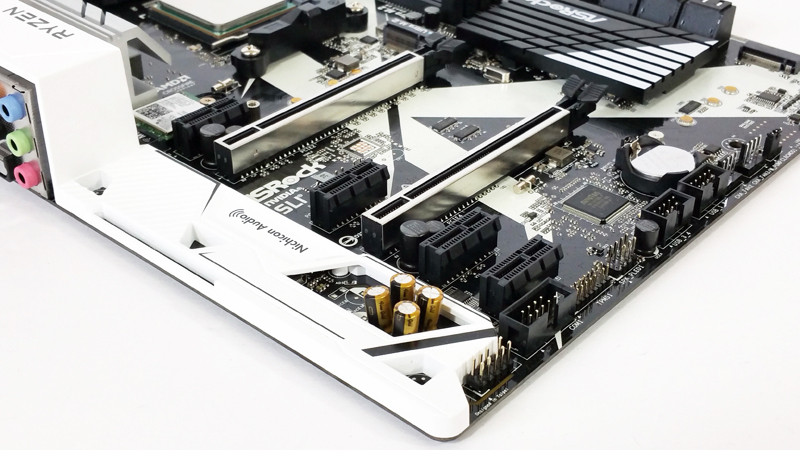 Today we are publishing our review of our first consumer motherboard in a long time, the ASRock X370 Killer SLI/ac motherboard. 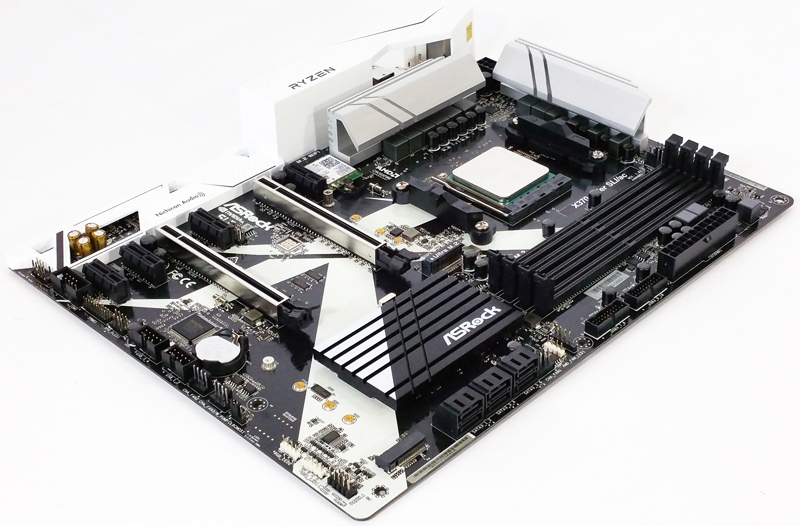 The ASRock board is designed to pair with higher core count Ryzen 7 (and soon Ryzen 5) CPUs and provide a solid platform for a low-cost workstation with more computing power than the Intel Core i7-7000 series. At STH, we have a number of different test platforms that have been running for over a month and we will review each in-turn. 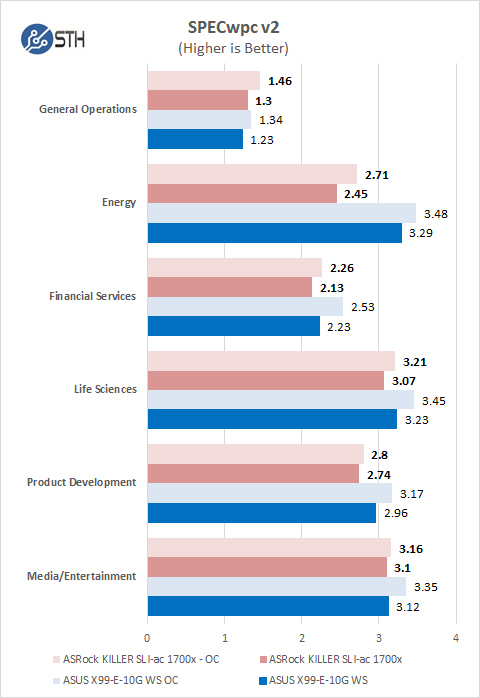 Many are located in two of our California data centers for our DemoEval program so it takes a bit longer to review each. Those systems are doing important work such as having patches developed for OSes so they can properly use AMD Zen. Patrick mainly used an AMD 1700 which came with a heat sink, meanwhile, I needed to wait for an AM4 adapter to fit my Noctua Heat sinks. Yes, the wait was killing me as I was dying to get started. 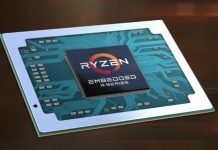 There is a huge number of reviews out on the web by this time, mostly centered as gaming platforms, we wanted to see how these new Ryzen processors would work taking on workstation type workloads. Let’s find out if it was worth the wait. 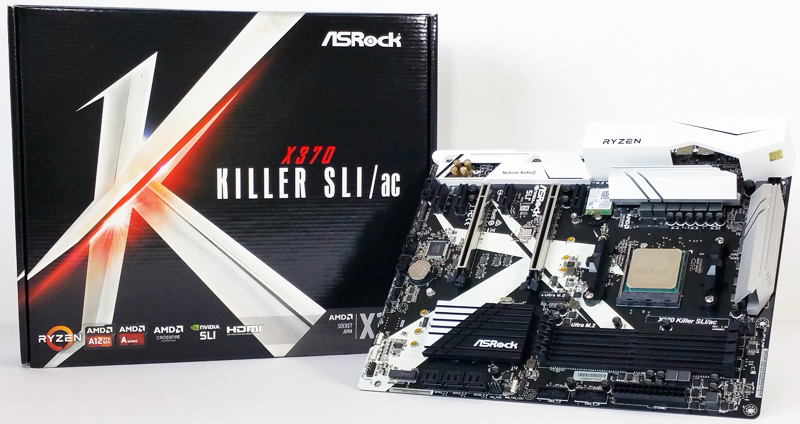 The first motherboard we will take a look at is the ASRock X370 Killer SLI/ac. 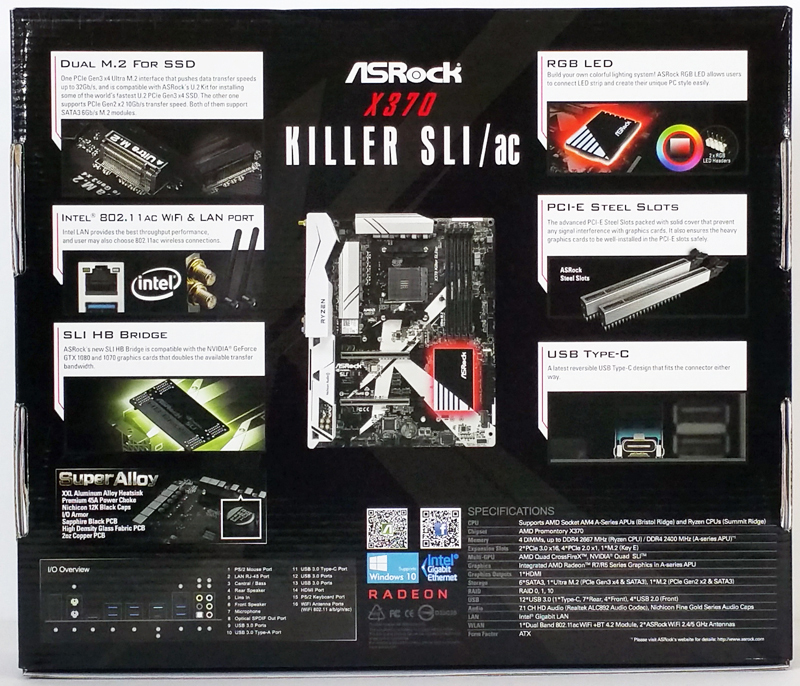 Here we see the front and back of the retail boxes used for this motherboard. The main feature list is covered well with the assorted graphics on the box art. 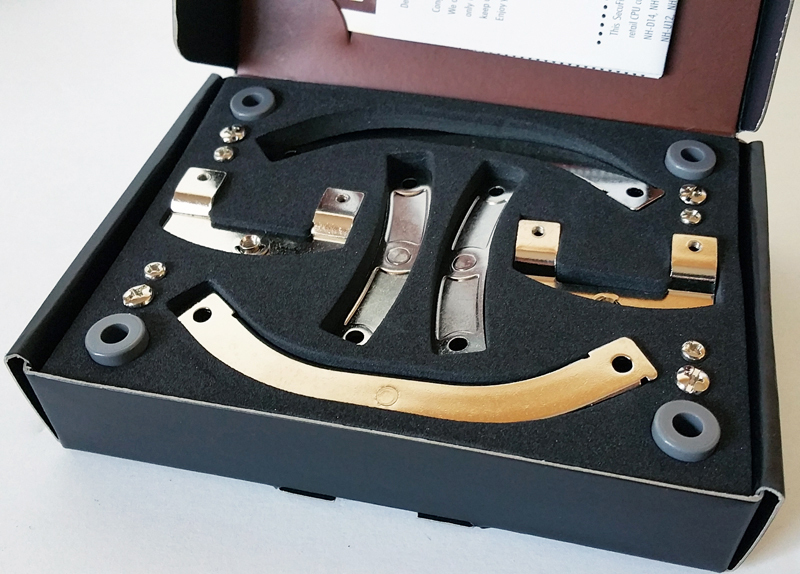 Let us open the box and check out the accessories. 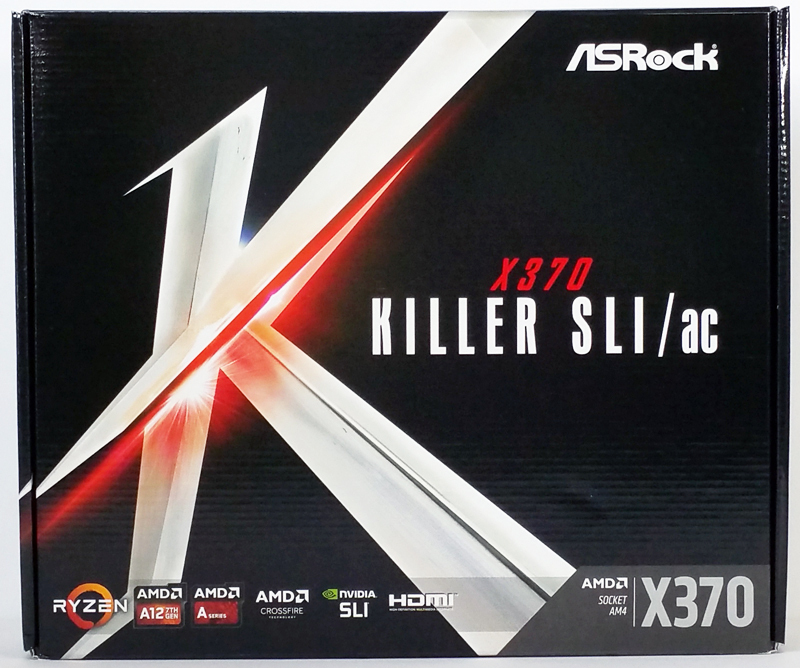 Taking the motherboard out of the retail box, we can now get a good look at the ASRock X370 Killer SLI/ac Motherboard. 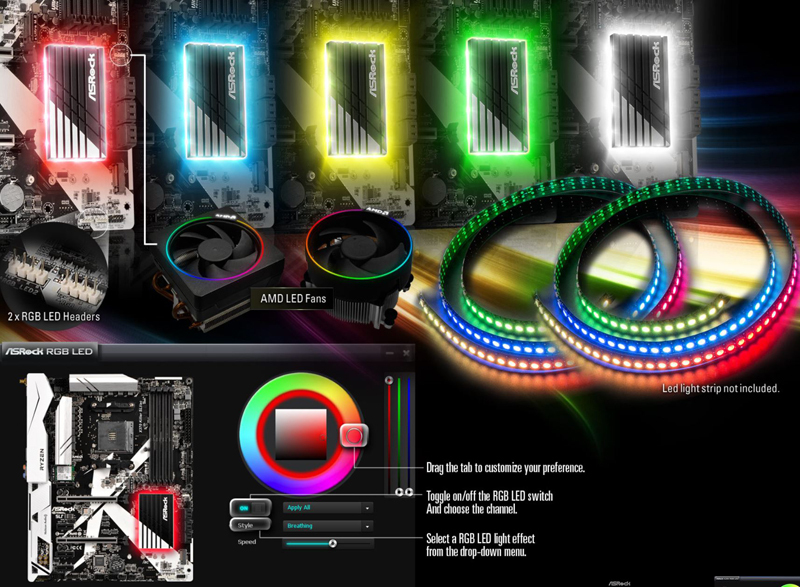 With a black and white color scheme and RGB LEDs, this motherboard is well suited for those who like cases with windows and can show off the inside system. The leading edge of the motherboard is where we find the storage connectors. Front Storage ports are: 6x SATA3 6.0 Gb/s Connectors, support RAID (RAID 0, RAID 1 and RAID 10), NCQ, AHCI and Hot Plug. Just to the left of the SATA ports we find a M.2 Socket (M2_2), supports M Key type 2230/2242/2260/2280 M.2 SATA3 6.0 Gb/s module and M.2 PCI Express module up to Gen2 x2 (10 Gb/s). 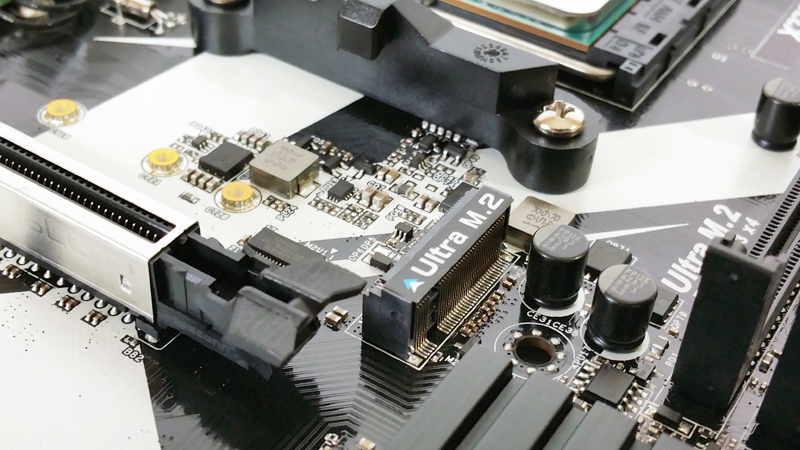 Over near the PCIe slots we find an Ultra M.2 Socket (M2_1), supports M Key type 2230/2242/2260/2280 M.2 SATA3 6.0 Gb/s module and M.2 PCI Express module up to Gen3 x4 (32 Gb/s) (with Ryzen Series CPU) or Gen3 x2 (16 Gb/s) (with A-Series APU). 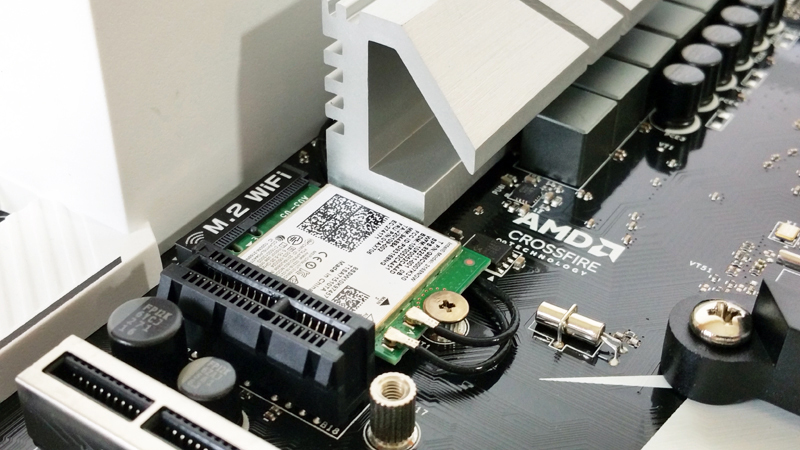 We expect many of these systems to utilize M.2 NVMe SSDs. Here we are taking a look at the processor socket area. The socket area is clear and provides easy access to the processor heat sink. Next to the socket area is Digi Power (IR Digital PWM) 12 Power Phase Design and Premium 45A Power Chokes. 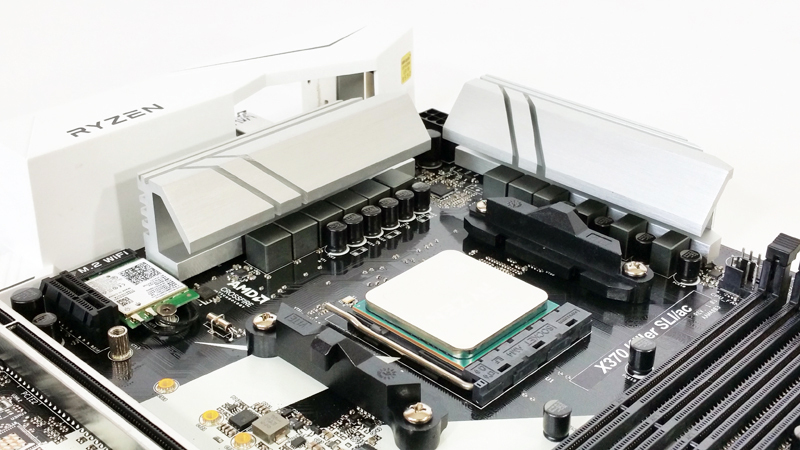 For those that would prefer to use WiFi for network use the X370 Killer SLI/ac comes equipped with an Intel 802.11ac WiFi Module. The great part about using an m.2 Wi-Fi slot is that one has the potential to upgrade to an 802.11AC Wave 2 device at some point in the future. Wave 2 APs are still a leading edge technology so the current selection ASRock made is what we would recommend in this price range. 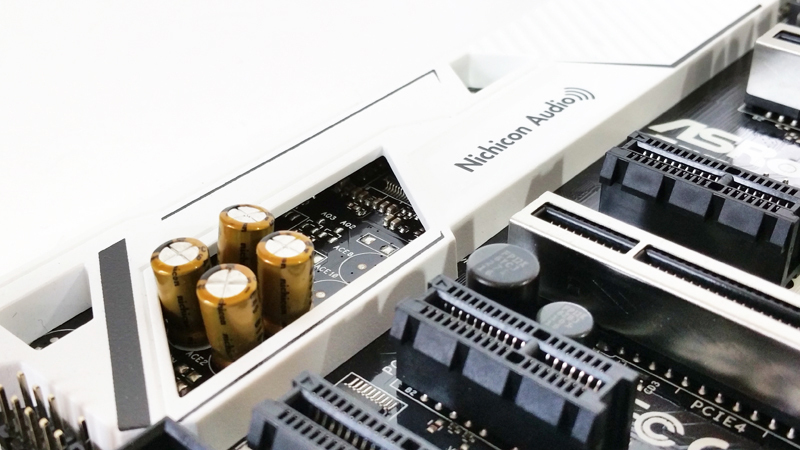 Located under the white plastic motherboard shroud we find the 7.1 CH HD Audio with Content Protection (Realtek ALC892 Audio Codec). 4x Nichicon Fine Gold Series Audio Caps peek out of the shroud covering. One of the motherboard features we really use a lot of are USB ports and this motherboard does not disappoint us with its USB load out. 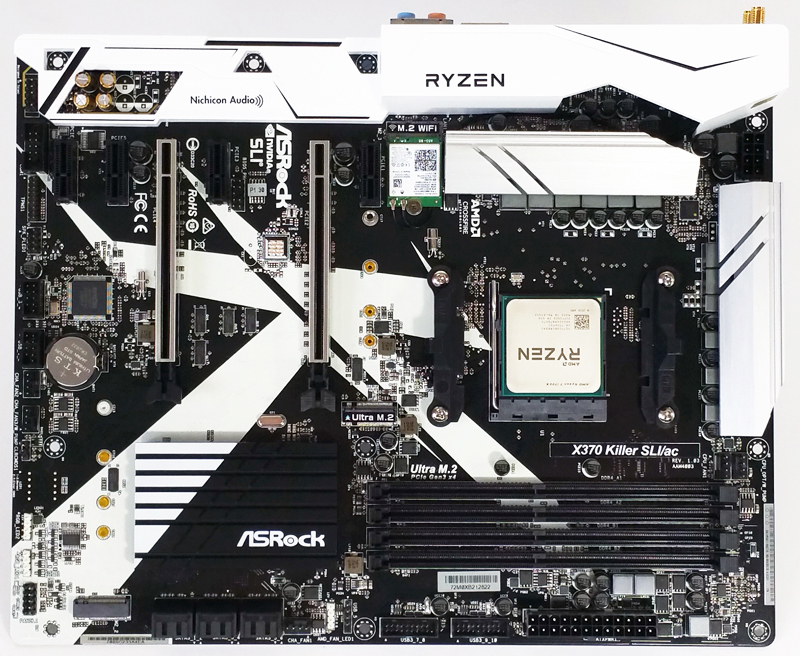 This is our first look at a Ryzen BIOS layout in a consumer motherboard review. We found most features are just where we would expect to find them. 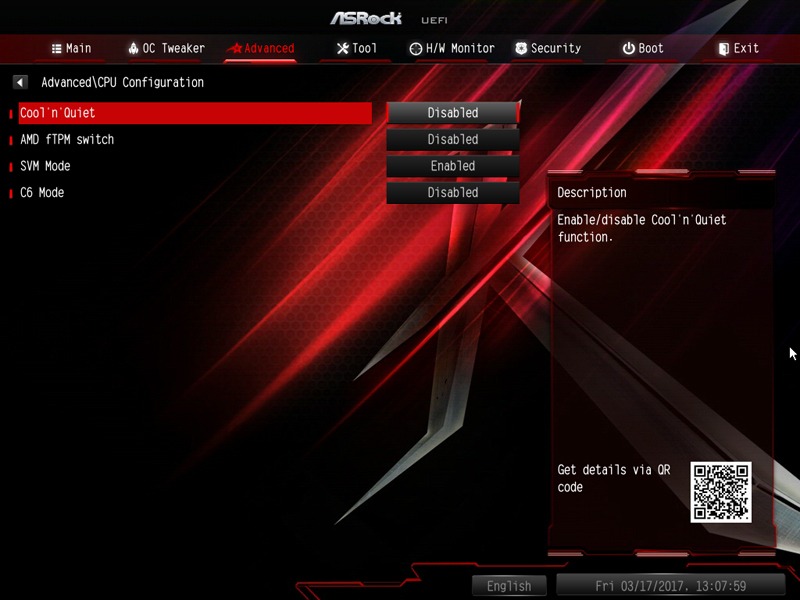 Over time we have really started to like motherboards that include an Auto-OC feature in the BIOS, this one does not include this. 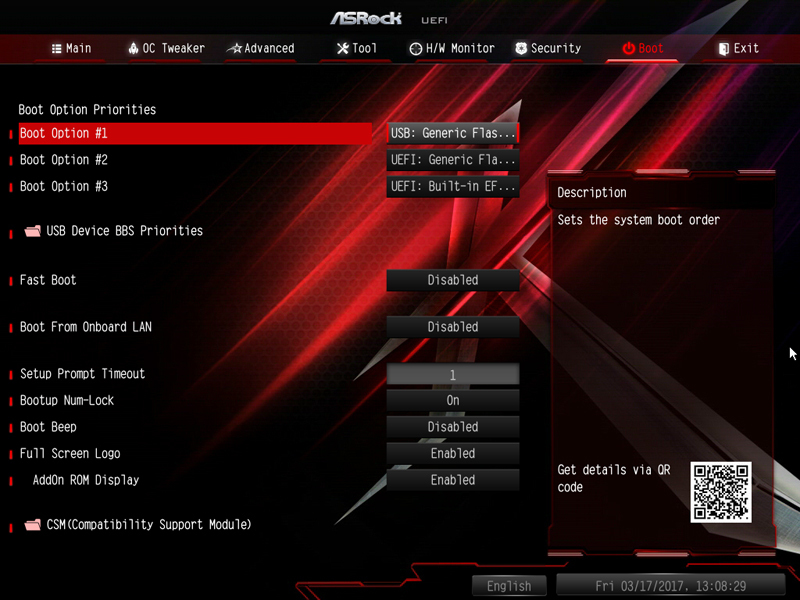 Overall the BIOS was easy to get around and features were where we would expect them. 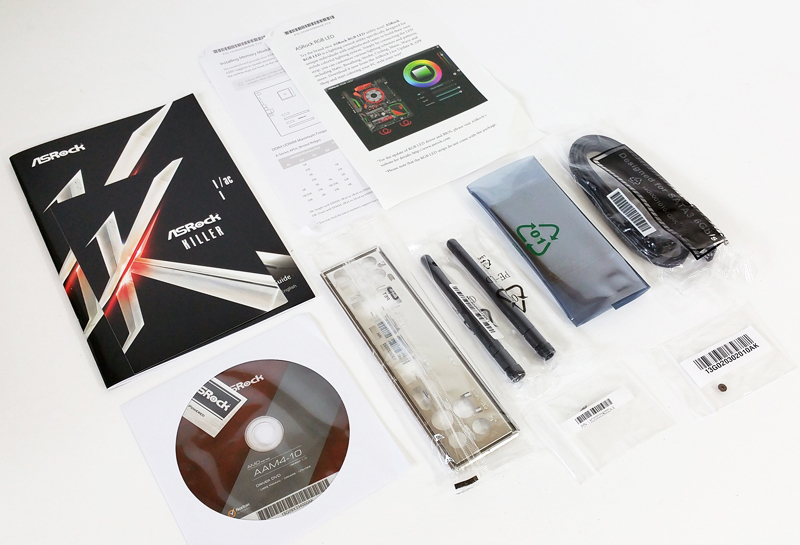 The X370 Killer SLI/ac comes with a Driver DVD which allows you to get drives and Utilities installed after your OS has finished installing. The driver array is fairly straight forward. 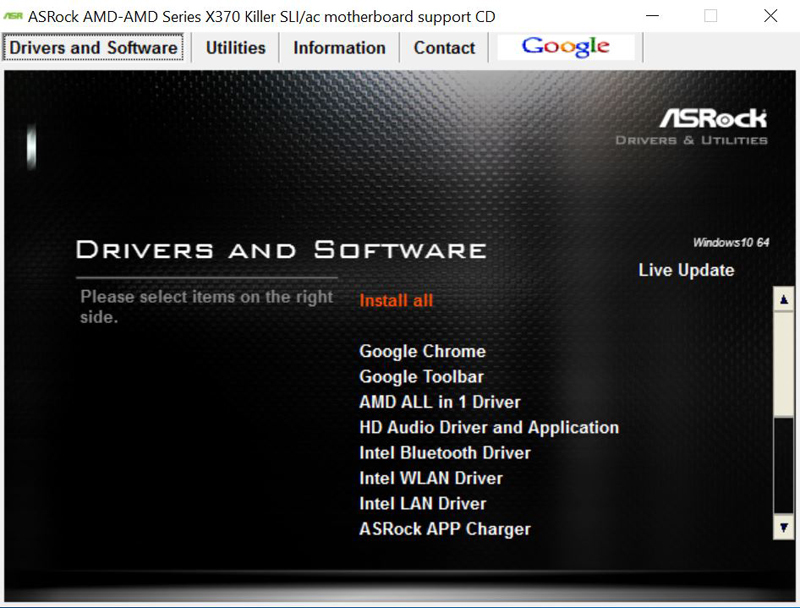 We would like to note that the AMD ALL in 1 Driver takes a very long time to install off of the DVD. We recommend downloading it from ASRock’s website and running it on your desktop. 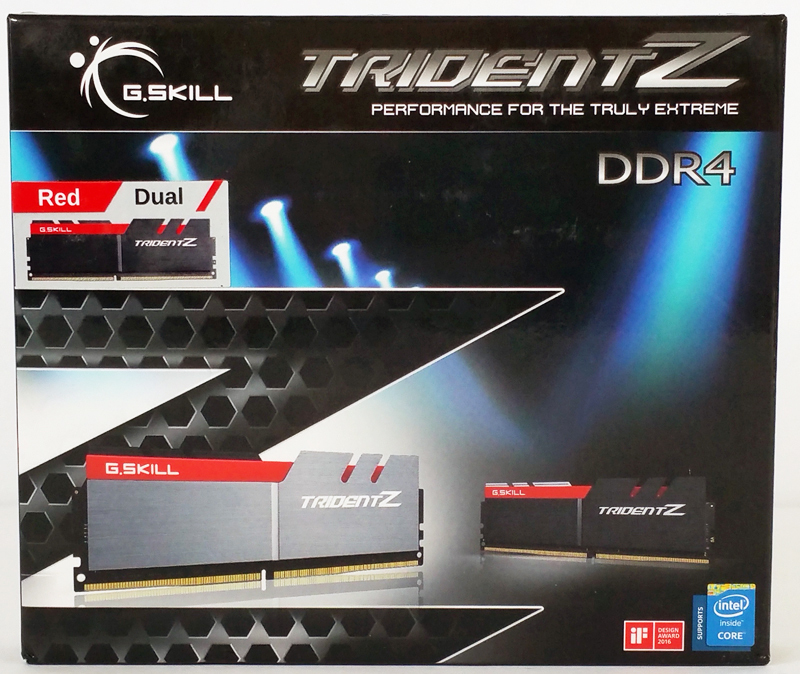 For our memory needs, we will use G.Skill TridentZ DDR4 kit . 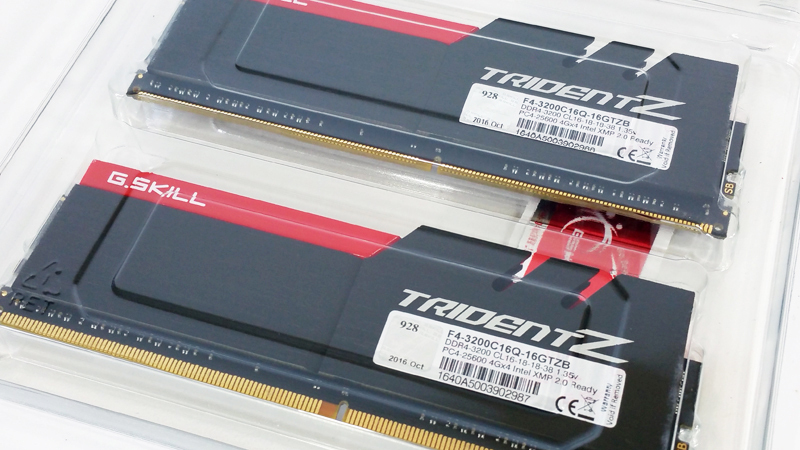 This kit is rated at 3200Mhz and includes 4x 4GB sticks which will give us 16GB of memory. Using 16GB x 4 for 64GB Is possible, however, getting it to run at high speeds is something that is unlikely to happen soon. There is still a lot of work AMD and motherboard manufacturers will need to help get higher memory speeds with a full 64GB, something we have been all too keen to learn recently. These do not have RGB LEDs and are rather tall. 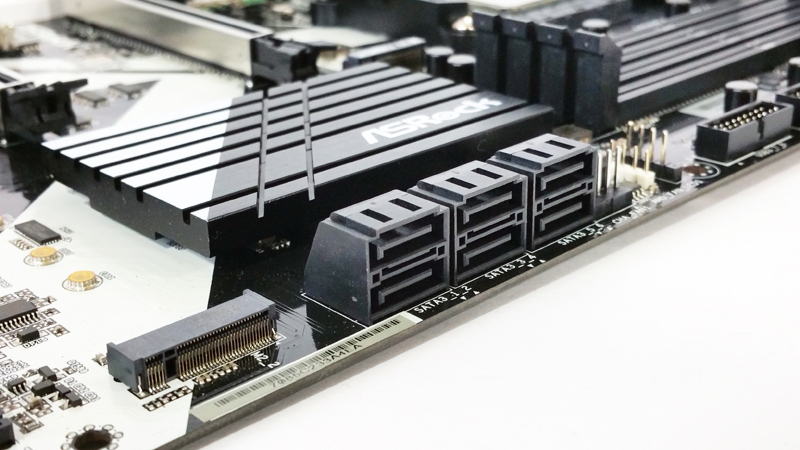 The larger heat spreaders are used on higher clock-speed memory to keep the modules stable. As we normally use Noctua NH-U9DX-i4 heat sinks on all our setups we required an adapter kit for the AM4 socket. At the time of Ryzen’s release, AM4 heatsinks and adapters were hard to find as most suppliers simply ran out of stock very quickly. We did manage to find an adapter kit but it took almost a week for this to arrive. With the adapter here and installed we are finally ready to start testing this new platform. 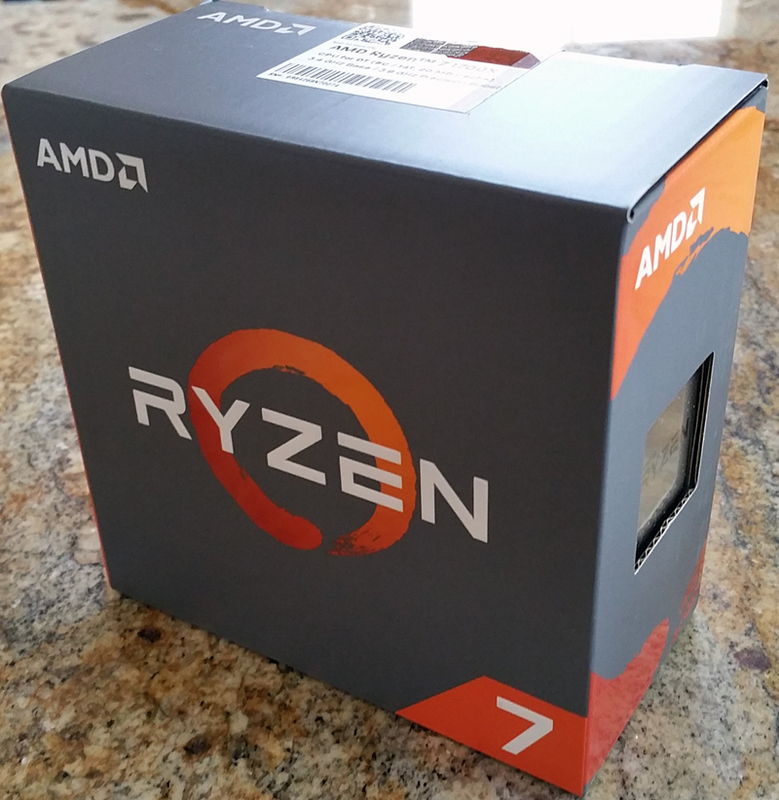 The retail box for the 1700x has nice graphics but does not come with a heat sink. With everything setup, we did find that the height of the RAM sticks forces the nearest CPU Fan up about ½ an inch. This is fine and did not seem to effect cooling at all. 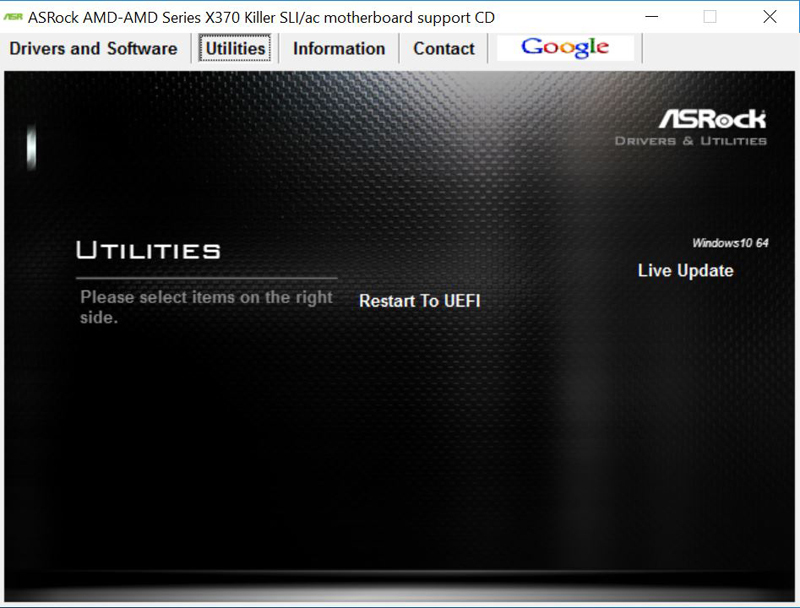 When turning on and booting the system the first time we enter the BIOS and select load UEFI Defaults, save and rebooted. We find a CPU speed of 3.5GHz and RAM speed of 1800MHz. This is what we ran our out of box tests at. We highly recommend downloading and installing AMD Ryzen Master, this did not come on the Driver DVD. This is what we will use for our overclocking needs. Here is what we see before we make any adjustments. Notice the CPU Temp is showing 56c at idle. It has been reported that Ryzen does not show the correct temps and is off by 20c. This would give us idle temps of 36c. 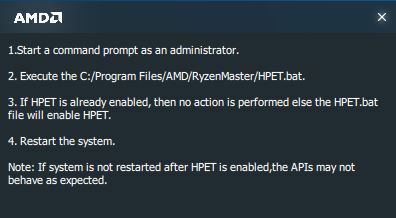 When we attempted to adjust the 1700x Multi you will get a pop up that says HPET must be turned on before any adjustments can be made. There is a handy bat file that will do this for you. Locate the bat file, run it and it will require a reboot to take effect. We are all set now to overclock our 1700x. We moved the Multi-slider from 35 to 38 where we found the best stable overclock. Clicking Apply will make this change on a live system. We also tried a Multi of 40 for a 4GHz overclock but we did not find the system to be stable without digging into the BIOS and adjusting other settings. More on issues we found later. We also adjusted memory speed to 2400MHz, this does require a reboot. Here we see our final overclock of 3.8GHz and Memory at 2400MHz. 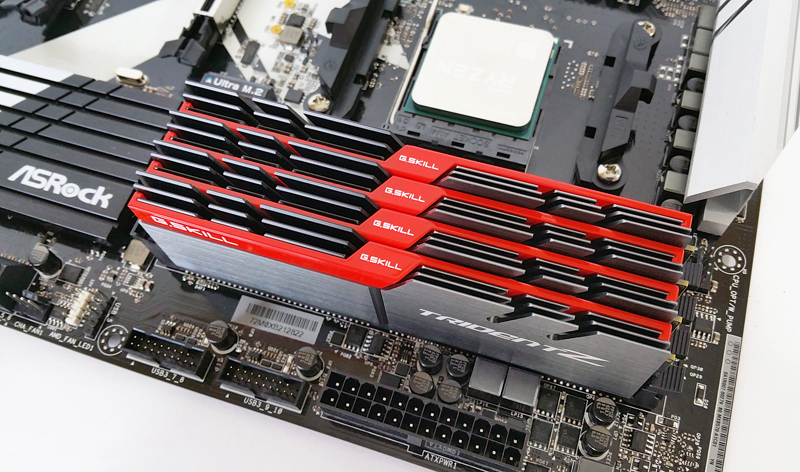 As of publishing this article, using four DIMMs and overclocking Ryzen 7 memory on just about any motherboard platform will make DDR4-3200 hard to hit even with higher-end modules like we are using. At this point, we recommend lower-spec and less expensive RAM. Let’s look at our test results now. 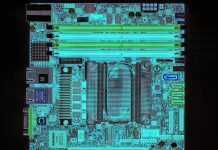 We have a limited number of CPU’s to compare with, for our use we will compare an Intel 5960x system we have reviewed before. This is an 8 core/16 thread processor, it’s not the latest from Intel but is still plenty powerful. 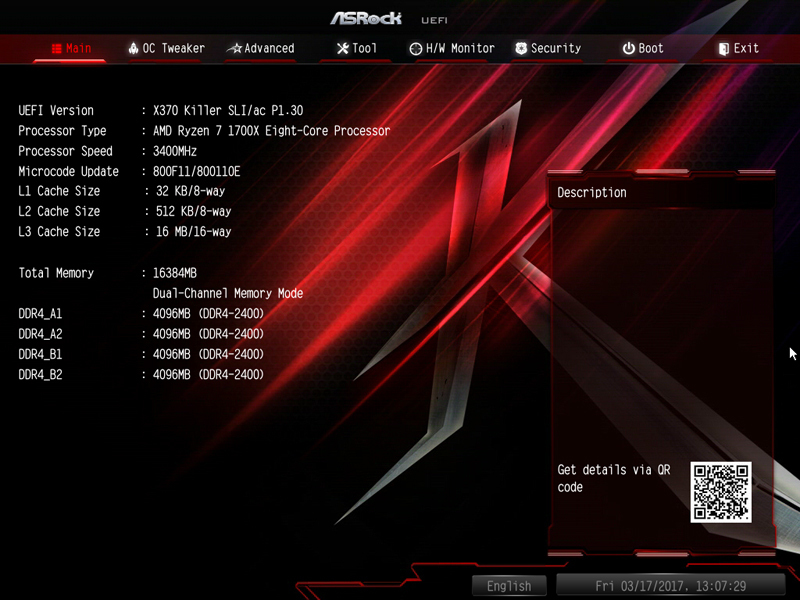 The system we compare to is based on an ASUS X99-E 10G Workstation motherboard we tested earlier. Memory Latency ranged at about 71.9ns on the ASUS X99-E-10G WS Motherboard while our Ryzen platform is at 110.2ns and 98.9ns when overclocked. Ryzen memory bandwidth is also lower by a fair amount. 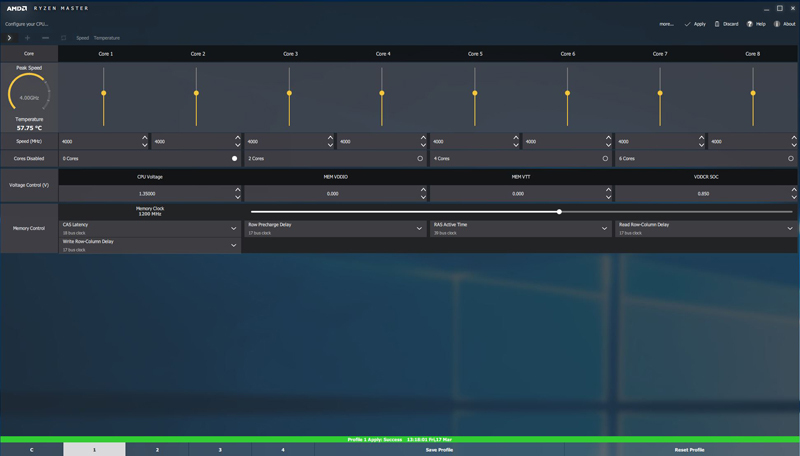 We have just moved our testing to updated SPECwpc_v2 which is a workstation benchmark that measures key aspects of workstation applications. 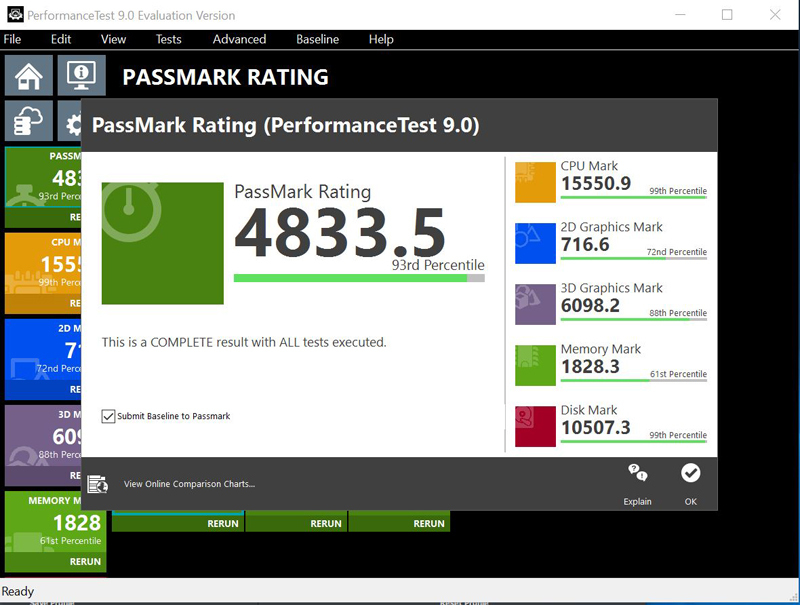 Again, we test with the new SPECwpc v2 benchmark; it includes settings for storage devices such as HDD’s or SSD’s. SPECwpc v2 is a very long test which took most of the day to run. 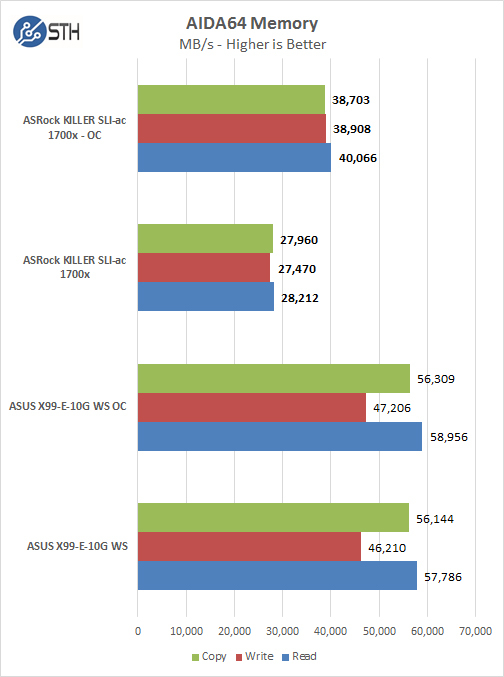 SPECwpc v2 beats the system pretty hard and we find the 1700x comes very close to matching the 5960x. With PCMark 8 you can test the performance of all types of PC, from tablets to desktops. With five separate benchmark tests plus battery life testing, PCMark 8 helps you find the devices that offer the perfect combination of efficiency and performance. 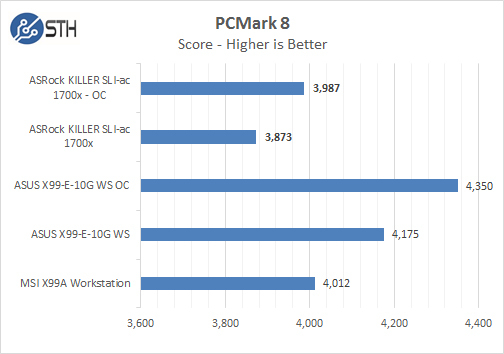 PCMark 8 is the complete PC benchmark for home and business. 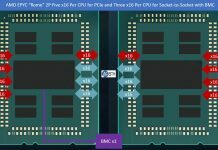 PCMark 8 appears to be hard for the 1700x platform to reach X99 results. We are now using a Toshiba OCZ RD400 256GB NVMexpress SSD as our primary OS drive in our reviews. 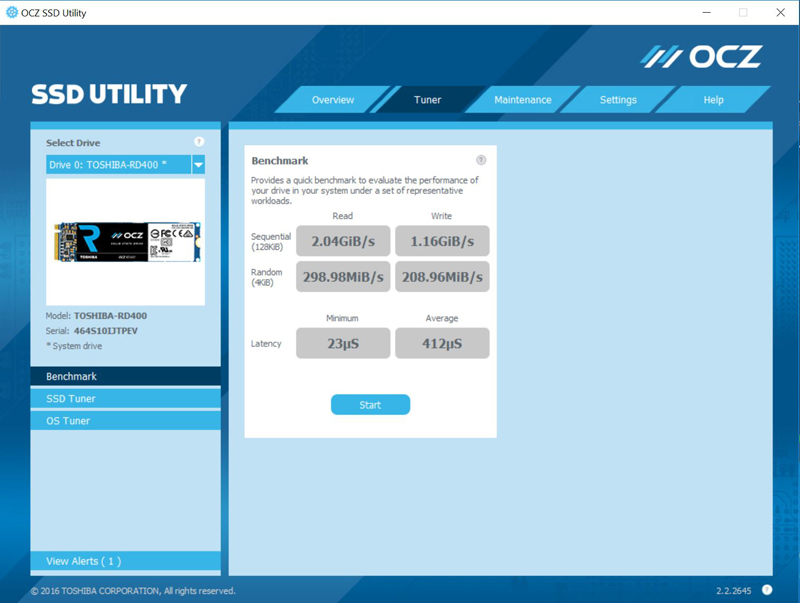 We use Windows 10 Pro for our windows testing and with this drive be sure to install the current OCZ RD400 drivers to get the best performance. With Passmark 9 we really see this platform shine, even at fresh out of box settings it beats the 5960x at OC’d settings pushing an even further 177 points with OC’d settings. 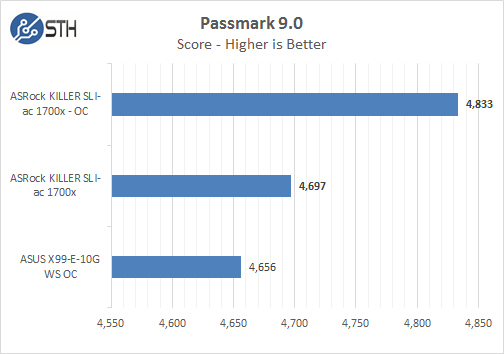 The full results from our Passmark 9 benchmark with overclocked settings. With Geekbench 4, the ASRock Ryzen platform holds up well in single threaded results but falls off with Multi-Threaded scores. 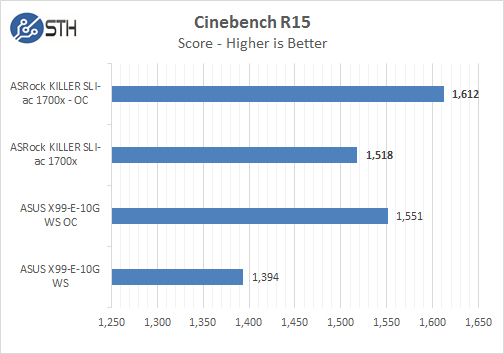 Cinebench R15 is another benchmark that works very well with the Ryzen system. 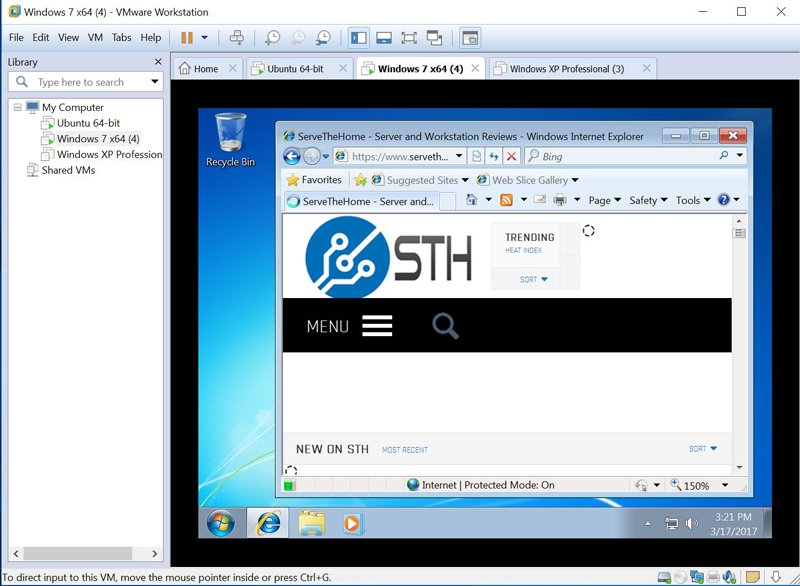 We also installed and ran VMware Workstation 12 Pro to see how this would perform for those that use different OS’s on their workstations. 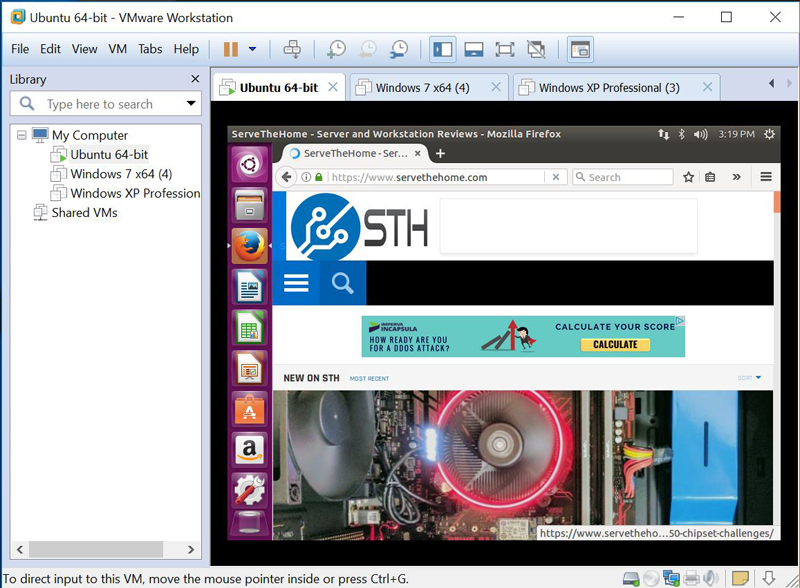 Here we see VM’s running Windows 7 and Ubuntu. Both OS’s installed with no issues. We did run into a snag with Windows XP, it would start to install and get to the first reboot and loading screen where it appears to hang with a black screen. We think at this time the issues is a video driver related issue. For our tests, we use AIDA64 Stress test which allows us to stress all aspects of the system. 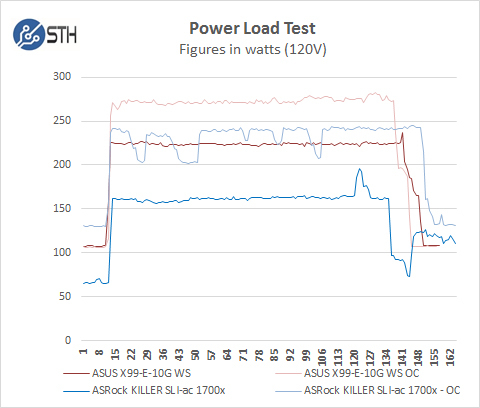 With our out of box conditions, we see approximately 160watts used while our 5960x system uses 225watts. 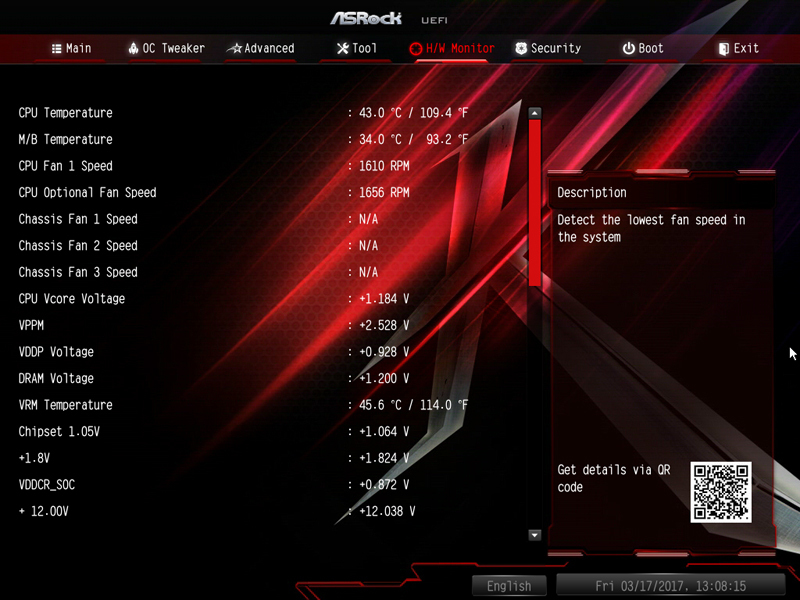 Later when we ran overclocked power tests it jumped to almost 250watts while the 5960x system was 275watts. 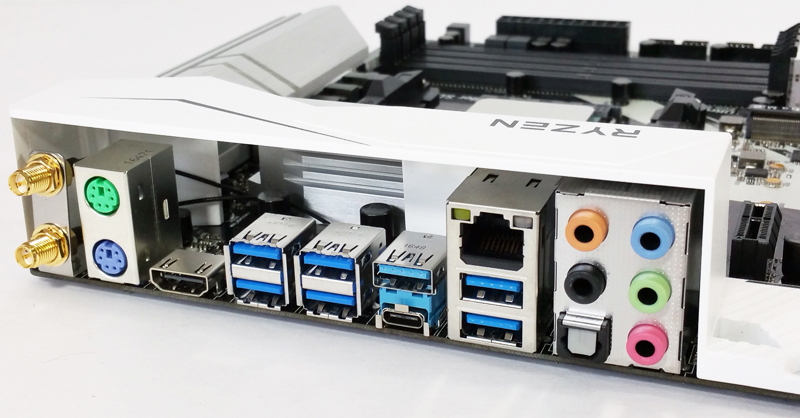 It took a week to get the ASRock X370 Killer SLI/ac up and running while we waited for the Noctua AM4 adapter kit to arrive, but when it did we jumped right on this new platform. All over the web there are plenty of reviews out there mainly centered on gaming systems which Ryzen appears to handle well with optimizations incoming. In some of our benches, we find the AMD Ryzen 1700x outperforms the Intel 5960x systems we have reviewed earlier. It really depends on the workloads you plan on running. 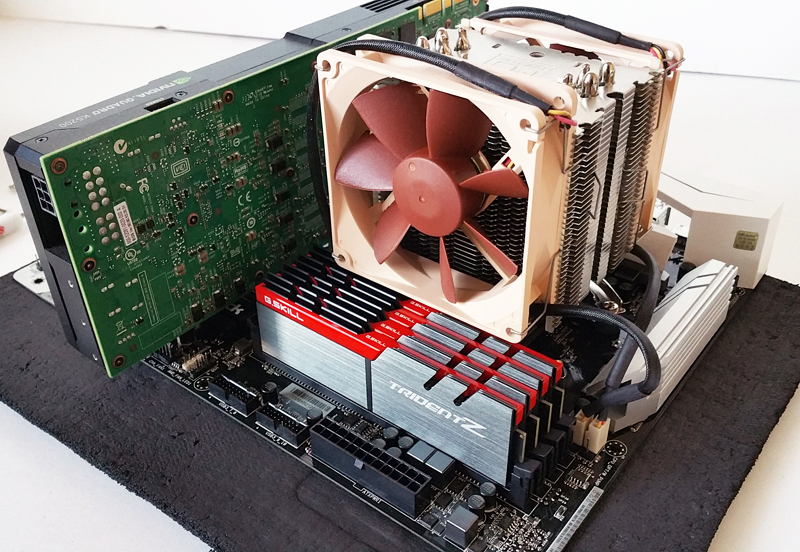 We have to admit our Quadro K5200 is showing its age compared to many newer GPU’s out there, in our tests we wanted to show side by side comparisons with as close to the same equipment as possible. 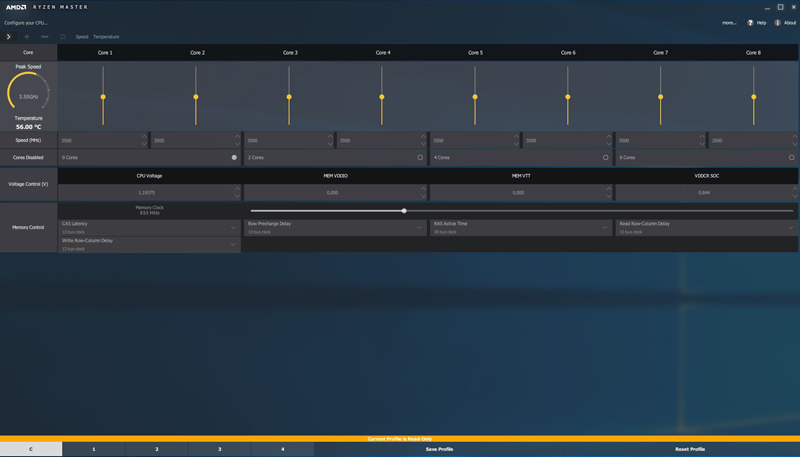 Using AMD Ryzen Master to overclock your system is as simple as it gets, knowing what your system can handle takes only a few tests and then save your settings to a profile for use later. 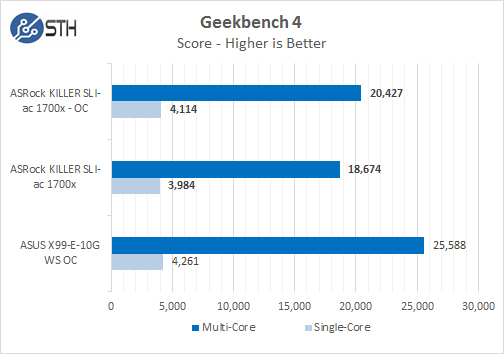 We think the benchmark results look good so far. We must also state that the Ryzen platform is very new and will no doubt require BIOS and Driver updates as this platform matures. Issues we found can be frustrating. The first issue we found was with our OCZ R400. When doing the first driver installs and Windows updates we often had to do restarts, often the system would lose the boot drive, it would also not show up in the BIOS. We had to power off the system, then power back on and it would operate as it should. The next issue was with our USB Keyboard, after a reboot we would come to the Windows login screen and found the keyboard would not work, again we would have to unplug and plug back in the keyboard to get it to work again. 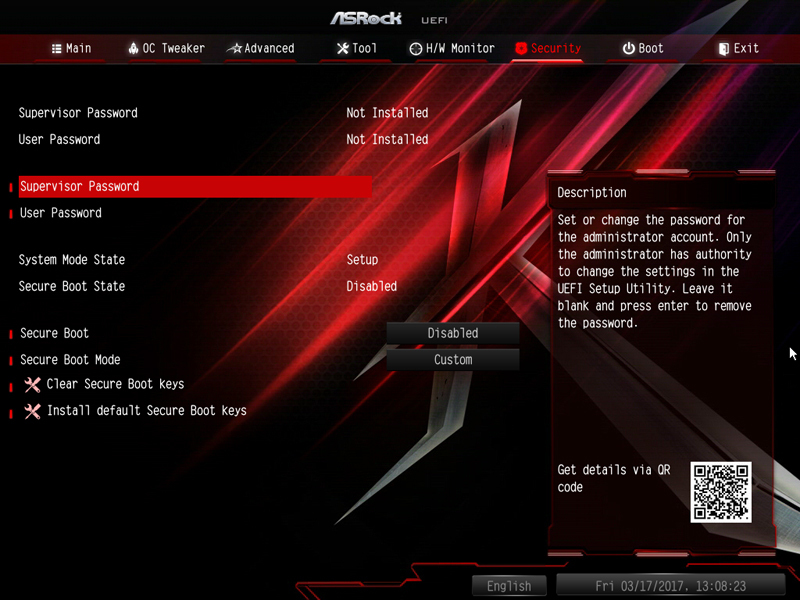 Lastly, when we went to overclock the system, enter in the BIOS and make only one change, Frequency Multiplier from Auto to Manual and hit F10 to save and reboot, this would make the board non-operable and only show a black screen. We would then have to unplug all power and clear the CMOS to get the board back up and running. 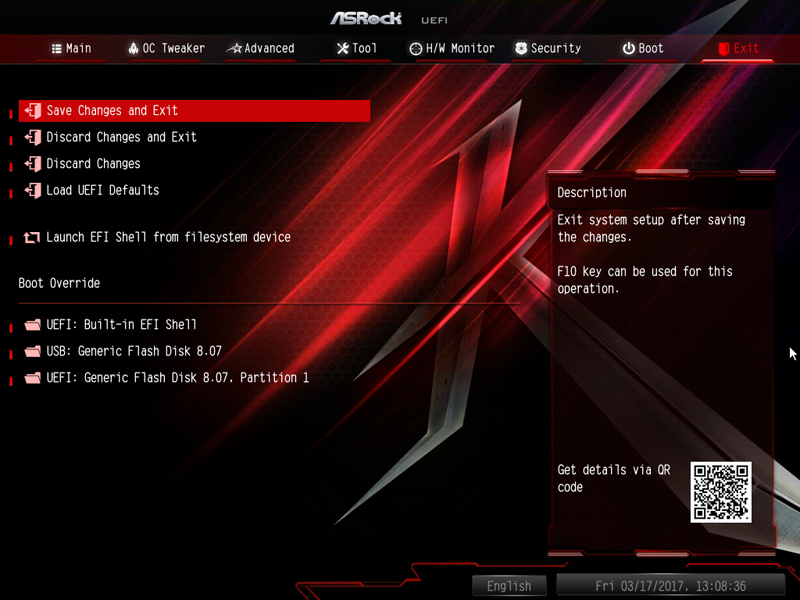 No memory speed changes in the BIOS would take effect and at desktop we would only see 900MHz. Now we have to step back and notice how many BIOS updates have come down the tube since the release of these processors and motherboards. Our fresh out of box BIOS was P1.30 dated 2/24/17. On ASRock’s website, they are up to P1.60 with Beta versions up to P1.63. Clearly, we will need to keep a constant watch on BIOS updates and hopefully many of the issues we saw will be addressed. 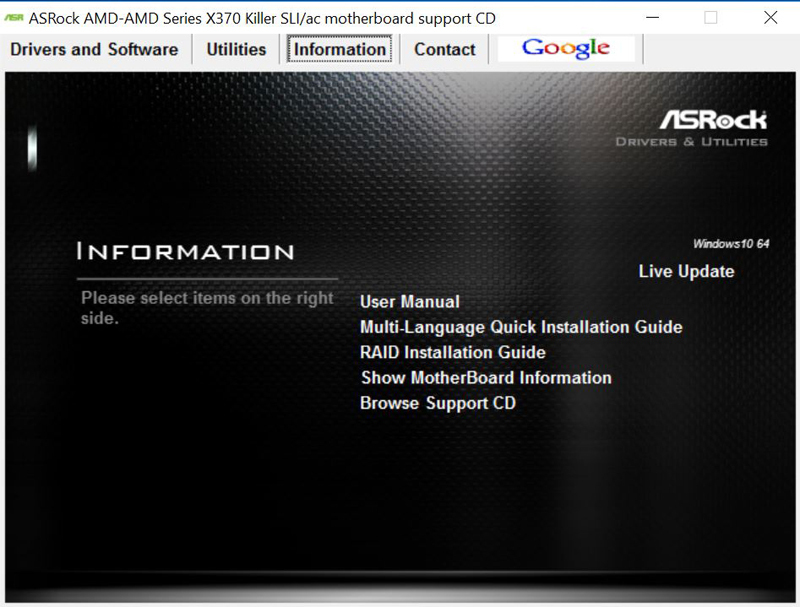 We highly recommend updating the BIOS before setting up your system and have updated drivers downloaded from the website before installing your OS. After we had our system installed, updated and running everything appears to run normally, but getting to that point was a pain. ASRocks X370 Killer SLI/ac motherboard and AMD Ryzen 7 1700x performs very well and no doubt will get better with updates. This is the Best Review I have read on AM4/Ryzen, since all of this AM4 has started. Looking at the power load test, I noticed the power consumption fluctuating. 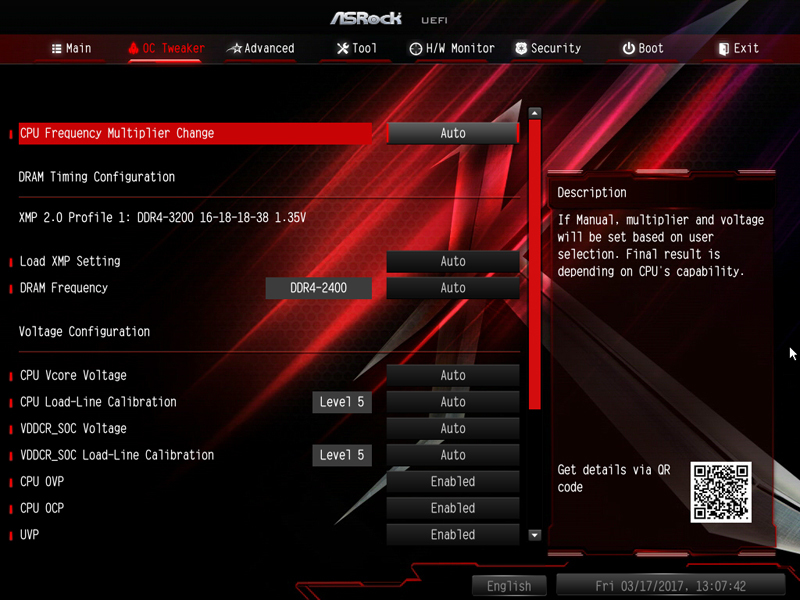 Could it be that the vrm on the motherboard struggles to cope with the applied overclock under heavy load? Zero is the point graphs and charts start! Hi, I just purchased this motherboard. The CPU fan backplate has a plastic liner glued to it, did you leave or remove that? Thanks!